We are currently on the verge of a New Year, and New Years always seem to bring changes. One thing that this New Year brings is the first year, since I’ve been home from my mission and been exploring LDS scholarship and apologetics, that we have studied the Book of Mormon for Sunday School. As such, I have decided to start a project called Sunday School Apologetics, where I’ll be discussing scholarly and apologetic topics and themes in the context of the weekly Gospel Doctrine lessons. I’ve set up a separate blog for the project, and you can learn more about there. I’ll be teaming up with Stephen Smoot, who has already made some fine contributions. Due to the template I am using, you can’t “follow” that blog, so I may provides links to that blog here each here, so that followers can…well, follow! The first weeks lesson is already up! I still hope to make use of this blog, but Sunday School Apologetics will be a demanding project on a weekly basis, and I will admit it will generally be my number one priority when it comes apologetic projects throughout this next year. 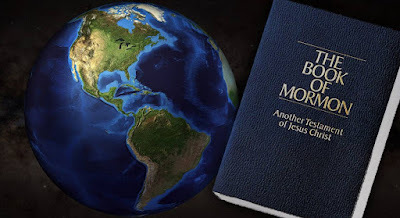 New Page: Are Mormons Christians? Having just culminated my five part series on this question, I decided it was time to create a page on this issue which would provide quick and easy access to that series as well as other posts I have done in the past on the Christian question. As with my Reviews/Responses page, when anything new related to that topic is added here, a link to it will be added to that page. Feel free to check it out. I’ve enjoyed this, my first full year of blogging, and look forward to continue to provide (what are hopefully) new and instating insights into LDS scholarship and apologetics. Thank you to everyone (anyone?) out there who has taken the time to read and promote the dabbling I do here. Hi Neal, i appreciate what you are doing. Keep up the good work, and the traffic will follow.